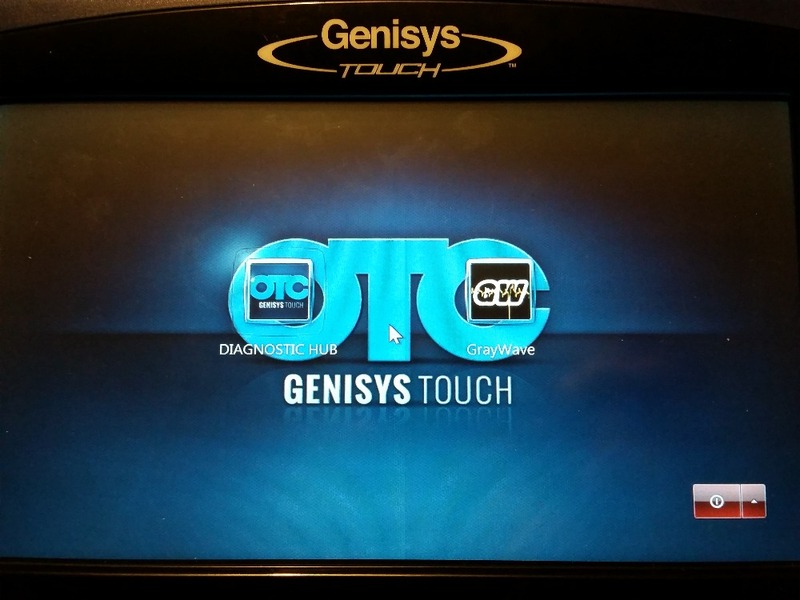 OTC Genisys Touch can be a great tool though I found a couple things I did not like about it. Now its a bit more usable to me. Keyboards and Mice are allowed. The data pid buffer erasing when having to many PIDs on the screen. Shorter PID lists work but if you need to graph some of those pids and one or two go off the screen, you need to scroll, well now the history buffer gets erased. Really dumb. Allow the tool to use external monitors at much higher resolutions than it allows natively with externals and decrease the windows DPI setting to 80% vs 100%. The reduced DPI setting has its draw backs such as the text in the "boxes" for PCM, Transmission and such end up slightly outside those boxes. Not a huge issue, the data PID list now fits about 20 data PIDs total vs 14. 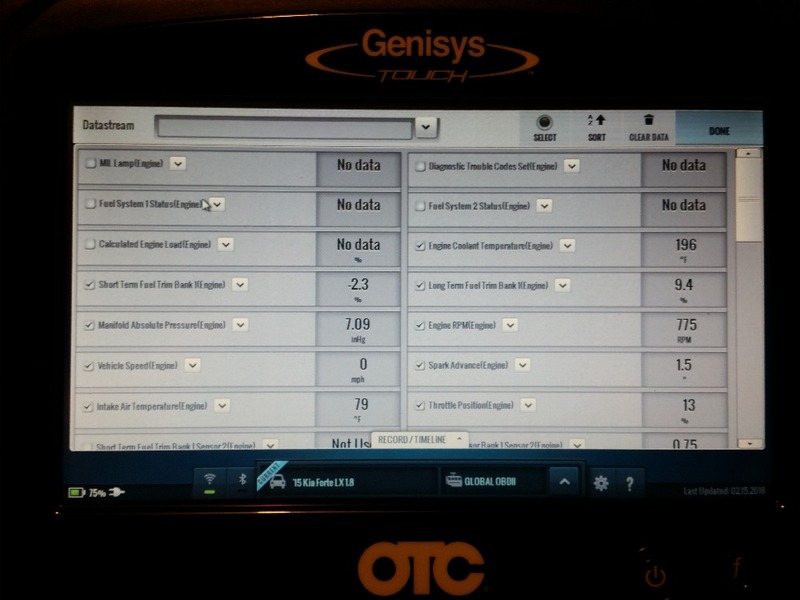 Unfortunately the physical screen on the tool only supports 1024x600 as a resolution. Hours of editing off line registries and adjusting security policies to allow the administrator accounts full access instead of restricted access, I now have a fully functioning window 7 desktop. I wonder if you could actually run the pico scope on this now lol. Last edit: 24 Feb 2018 09:03 by graywave. 3. Google Drive is used to upload and save all "printed" DTC lists to Google Drive automatically so I can get them on my phone or another pc at anytime. 9. Screen will now DIM and TURN OFF after certain amount of time. Seemed this never happened before. 10. After 30 minutes the unit will sleep. Only annoyance I am trying to get rid of is Diagnostic Hub loading full screen / kiosk mode. "ALT + TAB" works to bounce back and forth but you need a keyboard for that or go into a text field within diagnostic hub so the on screen keyboard comes up and then you can use alt tab from there. If anyone has some suggestions for that let me know. I've tried a few different things & 3rd party software with no luck. Overall, I wish this thing had years worth of updates coming to it because its got so much more potential now. That is some pretty good stuff. I think you can run the pico on the windows environment but it would be better if both pico and otc are in the same user account-on windows, as I understand otc runs on android. I have almost the same idea before but I just don't have the time and resources. The idea was emulating/porting those old softwares of scantools, even the new ones to be used in a pc/laptop. Like those old playstation games that you can now play on pc. 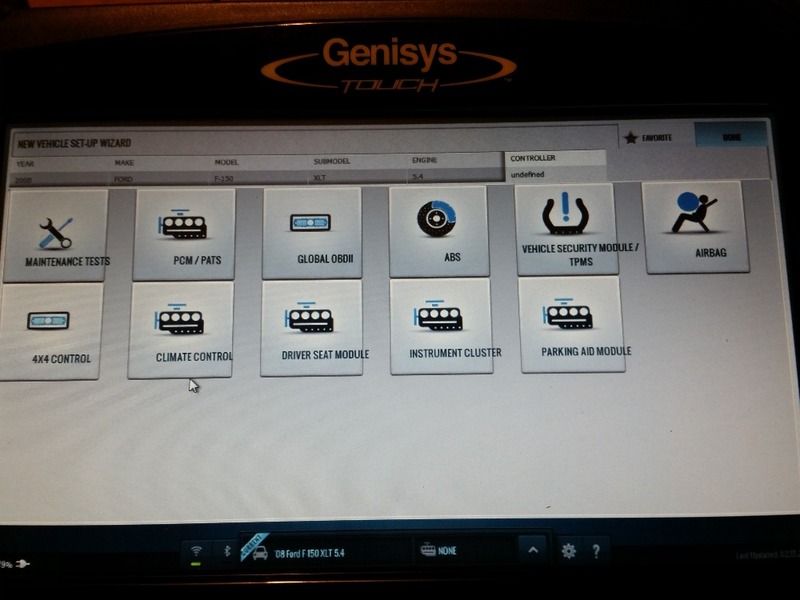 The Diagnostic Hub does run on both user accounts. The difference between the accounts is that the "Diagnostics Hub" account uses the diag hub as window's shell instead of explorer. This way it starts up faster and doesn't have other components loading behind it. The GrayWave account loads like regular windows 7 and uses a software called Dexpot to create virtual desktops that allow me to switch from Diag Hub to Explorer very easily. Its the only virtual desktop software I have been able to use successfully due to the fact that DIag Hub runs in a full screen / kiosk mode which is annoying to get out of when just the touch screen is used. Just found the software last night. Last edit: 01 Mar 2018 06:07 by graywave. 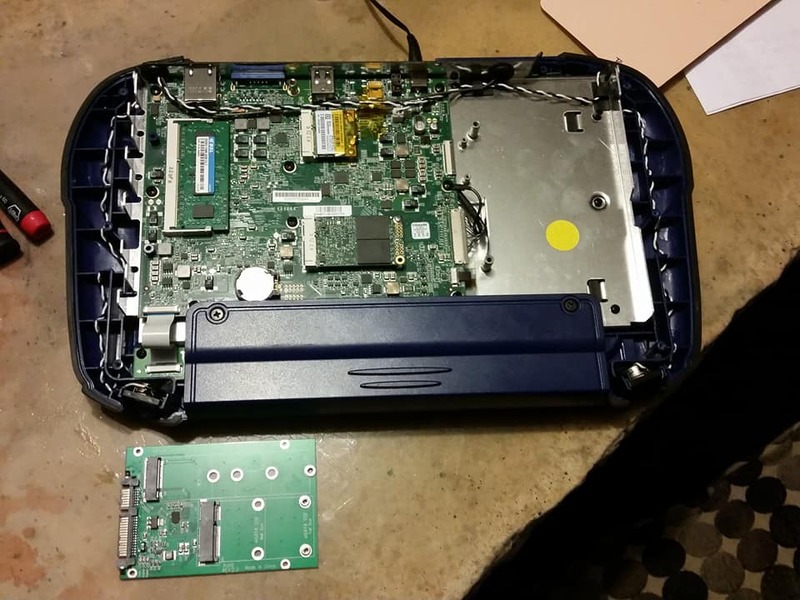 If you open/disassemble your genisys, you might find a hard disk just like the verus. Then try cloning it and go from there. There was a guy on youtube that installed a windows 7 on his verus that did that cloning the hard disk stuff. But that was bringing windows to the scan tool not the other way around. You can, after cloning the hard disk, try booting it on a pc although I'm not quite sure that it will work but the idea is there. Or, making a NANdroid backup of your genisys then running that to a pc with an android emulator in a windows os, or directly with an android os on a pc. That option works on an android phone, cloning the os then placing it in a same type of phone. Again, I'm not quite sure if it will work on your genisys. Maybe some of the members here that are more computer-inclined could add/share more information. What you did to your genisys breathes a new life to it and that was pretty slick. Regarding that ALT+TAB problem of yours, you could try to create a batch file that contains the ALT+TAB command then pin that file to your taskbar in windows so that it will be a one-click maneuver. But that would work only if you're in windows going to diagnostic hub. Going vice versa, I'm afraid I don't have a solution for that because even though you lock the taskbar, it will not show once the diagnostic hub is in fullscreen mode. Last edit: 01 Mar 2018 11:18 by eric_generic. Already did. Removing the MSata SSD, putting it into an adaptor and hooking it up to my PC was the only way I could edit the registry off line and make the changes required to get into explorer. After I was able to gain access to it I then had to reset the group policies for all accounts, even administrator because they had windows locked down hard. I made a block level disk image of the original setup just in case I screwed it up. I also did a file level copy so I could play around with the files and registry before editing everything on the ssd. 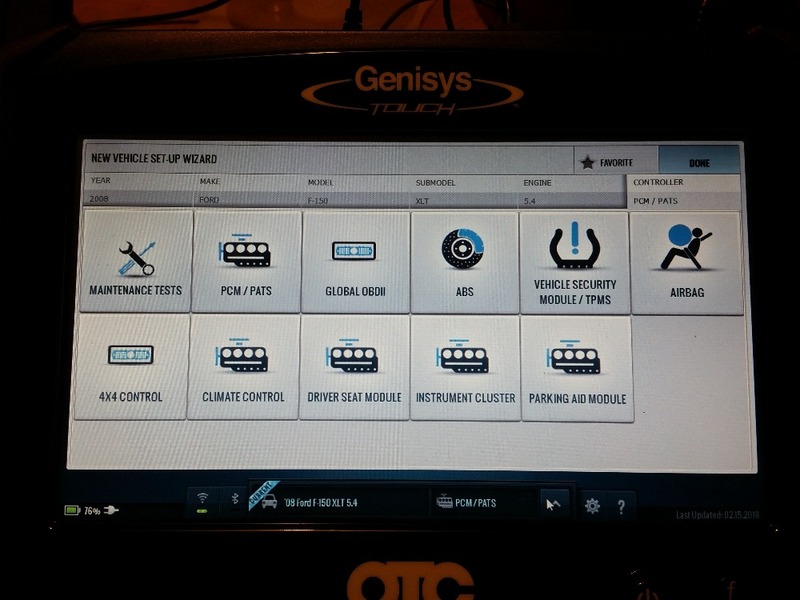 OTC (aka Bosch) used Windows 7 Embedded Standard so no need for android emulators . How awesome would it be though to run the software on a small laptop or even a surface pro with bluetooth with Windows 7 pro. That is something I want to look into further. 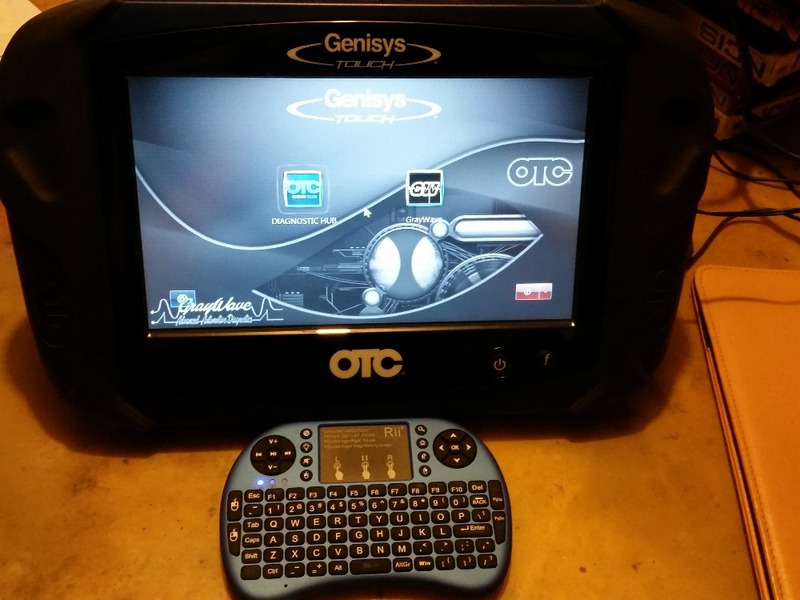 I also have all the updates saved so anyone who has the OTC Genisys Touch can grab the updates for free. They would need to remove the SSD though, copy the files and some how execute the exe files to update their device. I don't have an issue with the ALT+TAB anymore. Now that I use DexPot Virtual Desktop software I can easily switch back and forth with the mouse arrow. Once DIAG HUB is loaded, its in kiosk mode and you could not gain access to the taskbar or explorer previously. Now I can with Dexpot software. I wonder if I could run the Windows 7 partition in a virtual machine. Do you mean to run that windows 7 through a virtual machine on a pc or in genisys? I'm looking forward to this project of yours as this methods maybe used to other scantools. I created a new YouTube profile so my original video links won't work soon once I delete the old profile. That is pretty much the only reason why I am posting right now. The videos are the same as the ones I originally posted above. This is still a work in progress as I am wondering how far I can go with it just out of curiosity. Thinking of either getting the software to run on a laptop or getting a bigger M-SATA drive and partitioning it so I can run OE programming software from it. It was updated to the latest and last update v3.8 so its has up to some 2017 and most if not all 2016 now. Purchased a RII Bluetooth Portable Keyboard for it. Last edit: 13 Mar 2018 20:02 by graywave. Hi, Is there a fix to get YouTube to work? 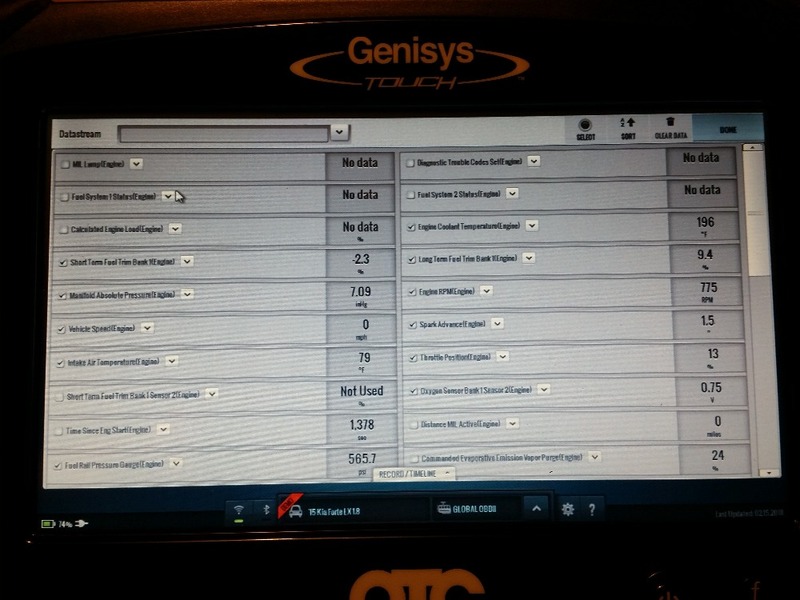 Or do you have to convert to Win 7 tablet? I was trying to help another guy remotely but its proving to be difficult. Thanks for the quick replay. It's nice to be able to go to YouTube trying to find a possible reference to a fix from Genysis touch. I'm planning on changing the hard drive to an MSATA version, removing the ribbon cable. This speed things up a bit. Do you have any documentation on how to get the OTC shell installed into win 7 ? 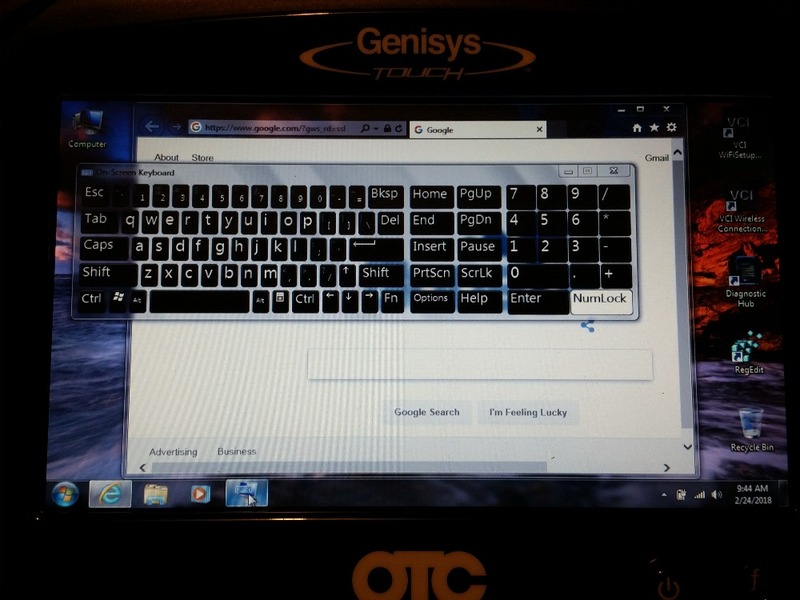 Windows 7 Embedded Standard is already installed behind the OTC Software. Windows is just very locked down and they have software running that keeps you from navigating anywhere via windows. Windows Explorer is not even running. The "shell" of windows loads the Kiosk Diag Hub. Basically there is a lot of registry edits and changes to many security policies that allow me to use it how it is now. Have another question. I'm trying to clone my spinning drive to an ssd. This way I will always have the original drive if anything goes wrong with the ssd. Have you had success doing this? I tried with no luck, is there something that I'm missing? The ssd boots initially into Windows but then sends an error code. It seems as if not all files were cloned.